Go behind-the-scenes of the magical world of the silver screen with Children's Book of Cinema. Learn everything you ever wanted to know about movies, from the history of film and the making of a motion picture to the best kids films for every genre. 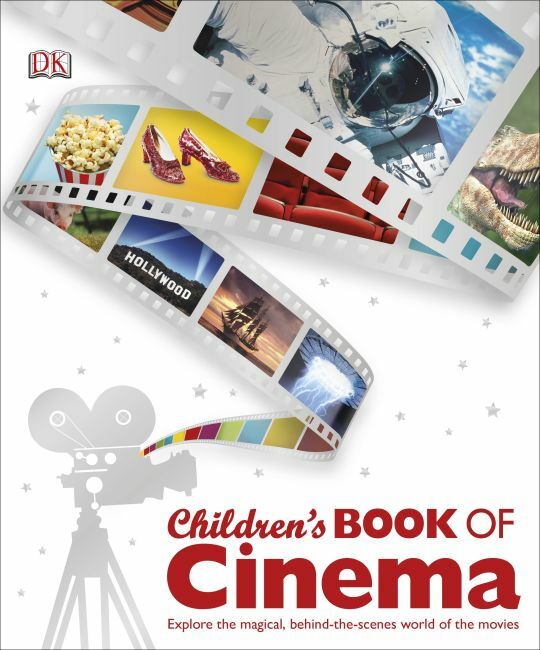 The definitive Children's Book of Cinema tells the story of cinema from silent films of yesteryear to the big blockbusters of today, covering the innovation of "talkies" as well as the revolution of technicolor. Explore the fascinating art of special effects and the trickery involved in making the unbelievable look real. Showcasing top movie stars and characters like Harry Potter and James Bond as well as introducing ground-breaking, must-watch films in essential genres, from adventure and comedy, to musicals and westerns. Plus, tips on simple movie-making techniques invite kids to start capturing their own stories on camera. Perfect for young film buffs eager to learn as much as possible about the enthralling universe of film. So get comfortable, have popcorn handy, and get lost in the Children's Book of Cinema.